Be Our Guest this Spring! Be our Guest this Spring ! Our May E-Specially for you newsletter chock full of tantalizing packages is in the process of being launched! With spring in the air, warming (albeit slow) temperatures, blooming gardens, our resorts are ready to welcome their guests. With a rich variety of resorts and experiences on offer, for families, for couples, and for groups of gals, and guys, or even that very special occasion, what better location than one of Ontario’s charming Lakeside and Countryside Resorts, Cottages, Lodges and Inns. With services for doing it all yourself, and spending your time being refreshed in the perfect natural environment to boost your spirits and spend time with the one (s) closest to you. There are a huge variety of choices for full service resorts offering full, modified meal plans, bed and breakfast food options, or just accommodation, and do it as you please making decisions for sporting and recreational, or pampering activities. Break & Families fun at the Fern Resort!From $170, Moms 50% - one child free. Mother’s Day weekend, with 50% off for mothers. The family is well taken care of with Fern Resort’s renowned recreation and activity programs so that mom is assured of time to do what she wishes. Package includes 2 nights accommodation and four meals. Sunday enjoy a full Brunch buffet. and one child free, everyone has a great Mother’s Day Weekend. Fishing and Touring at Pine Vista Resort – Free Fishing Boat for 2 Days! Our Fishing and Touring Package is the perfect getaway for avid anglers. Pine Vista Resort is located on StoneyLakejust 90 min NE of Toronto, in the heart of the Kawartha’s. Enjoy two nights accommodation with fully equipped kitchen, satellite TV/DVD, WiFi and deck with BBQ. Package includes 14’ aluminum fishing boat for two days, 1 tank of gas, and map of the lake. Guests can enjoy use of all resort facilities such as heated pool, hot tubs, canoes/kayaks, nature trails. An affordable getaway/ $565/group of 4. Victoria Day Weekend – 2 Children Free – Bayview Wildwood Resort. From $299 pp/per 2 nights/dbl with Two Kids Free. 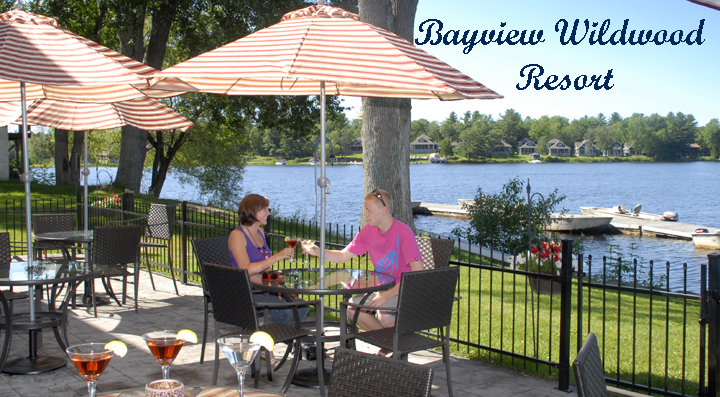 Celebrate the spirit of summer this Victoria Day Weekend at Bayview Wildwood Resort. Go canoeing or kayaking along the shores ofSparrowLake. Bicycle along country roads while your kids are in children’s programs. Hike in theCanadian Shieldwilderness. Relax by the outdoor pool or go indoors and enjoy the indoor pool, whirlpool, games room and squash courts. Rate is for 2 nts with 5 meals. Use of resort facilities including pontoon cruises, mountain bikes, etc.